Whether you have a website or a Mobile App, our platform supports all modern browsers and modern gadgets like PC, Mobile, and Tablets. Decision-makers are reporting high levels of adoption to enhance core functions specific to their industry. For example, customers using Apps for banking can get instant support via Apps’ embedded (video or audio) communications. Another example, using a medical software, patients & doctor can view and discuss reports via video call. In today’s lifestyle, there is an increasing avidity for “on demand” services. From car rides to movies, relationships to groceries, hotels to almost everything. 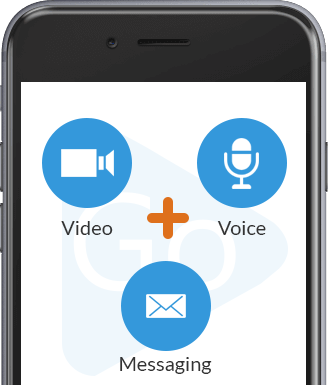 With WebRTC, you bring rich communications within the application or website & be extremely ahead of your competitors. Need Embedded Communication for Your Website or Mobile App? Talk To Us. © 2017 Eyas Ventures Pvt Ltd.